Have you ever sat down for multi-course gourmet meal? Beyond the typical four-course, western meal (appetizer, salad, main course, dessert), the most courses I’ve enjoyed in one sitting was eight or nine courses at a Chinese wedding reception. Each dish was more flavorful than the last. A culinary delight, pure pleasure, a picture of heaven. But our ordinary fare is not like this. We eat fast food we picked up on the go, never sitting down to savor our food or the relationships around the table, monotonous microwaveable meals, junk food with little nutritional substance, and food processed by the industrial food complex. I’m overstating a little. Many of us are better than that. We are foodies who delight in home-grown, slow food, lovingly prepared and brought from the farm to the table. But what are our spiritual diets like? Do we subsist on bland prayers or ‘ the processed’ devotion of others? Our we filling up on junk when we are invited to sit down to gourmet meal? David Brazzeal lives in Paris, serves on the International Mission Board in Brazil, Guadeloupe, Quebec and France, helps lead five innovative churches, writes poetry, composes music, and creates guerrilla labyrinths. 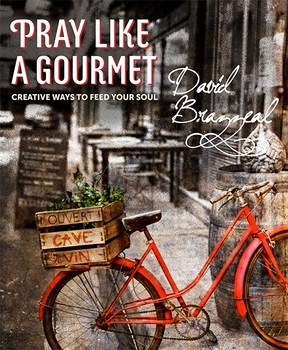 In Pray Like A Gourmet: Creative Ways to Feed Your Soul, Brazzeal invites us to the banquet of prayer. He discusses how his own spiritual malnourishment led him to press into God in prayer and experience him in a vibrant way. 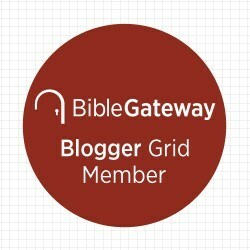 His goal is to whet our appetites for communion through God by unfolding the many courses available to us as we taste and see the Lord is good. But this is not simply a petition for a deeper and richer prayer life. Brazzeal shares his experience of each course that is lovingly laid out before us, and he directs us to creative ‘recipes’ designed to help us to enter more fully into each dimension of prayer. Drawing, writing poetry, singing songs, listening to music, walking through nature, word games, reading, intercessory prayer plans and legal pads have ingredients which add spice, enrich and expand our enjoyment and experience of God in prayer. What are the courses? Brazzeal starts with the standard recipe for prayer many of us were taught—ACTS: Adoration (Praise), Confession, Thanksgiving, Supplication (Asking). He adds seven more courses: Observation, Intercession, Meditation, Contemplation, Blessing, Lamenting, and Joining. Finally he discusses how to bring a more gourmet prayer life to the routines of life and to our shared life with others. We all get bored with the same old fare, eating the same meal everyday. How many days of leftovers can you handle? 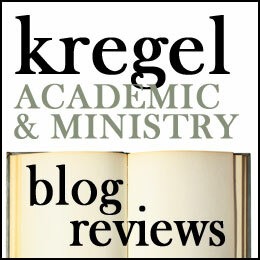 Brazzeal’s book is an invitation to a richer and more varied spiritual diet. He is a Creative, and sees the intimate link between creativity and spirituality. I absolutely love the ‘recipes’ and am eager to make more and taste more. There is a nice balance between form and improvisation (he gives you a structure but doesn’t expect you to follow it woodenly) Brazzeal also has a rare gift of cutting through the ethereal and offering a practical approach to prayer. For example, his exploration of confession exhorts us to acknowledge sin and screw-ups, but he sets this in the wider category of a ‘reality check’ and taking an honest assessment of our life and circumstances (see chapter eight). He offers practical suggestions and clarifications on every aspect of prayer listed. I give this book five stars and recommend it to anyone feeling stuck, hungry, or bored in their prayer life. Note: I received this book from the author or publisher through Speakeasy on Tap in exchange for my honest review.